We support and offer Flood Re. All types of flood risk (coastal, flood plain). Thousands of UK properties are at risk of flooding. To continue to offer UK residents affordable flood risk home insurance, HomeProtect is working in partnership with Flood Re. This government-backed scheme allows us to cover many more houses, particularly those at the highest risk of flooding. We understand home flood insurance and Flood Re reinsurance completely; we literally wrote the book on it. Getting an online quote is easy too. We do all the hard work for you, including working out your Flood Re eligibility. So you can rest easy knowing that you’ve got the most affordable flood insurance to protect your property. All in a matter of minutes! HomeProtect was one of the first UK home insurance providers to offer flood insurance as part of Flood Re. Being able to purchase a policy with Flood Re cover is dependant on meeting certain defined criteria. If your home or situation falls outside of these criteria, you won't be able to take advantage of Flood Re. However, HomeProtect can still cover your home and belongings with our Defaqto 5 Star policy, sometimes even with flood cover included. Start by getting a quote online to see if we can cover you. Infographic: How does Flood Re work? Flood Re eligibility: Who can benefit from the scheme? 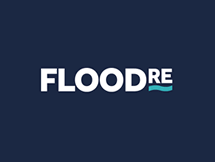 Flood Re is a flood risk insurance scheme, designed to make flood cover more affordable for UK homeowners which has been in place since 4 April 2016. The Flood Re scheme enables insurers to take on more customers at risk of flooding because the consequences of large claims are shared between insurers. 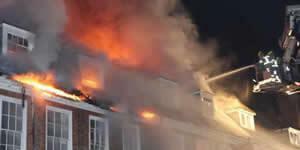 This happens behind the scenes, so customers can compare and purchase home insurance as they would normally. Visit the Flood Re website for further details. What was Flood Re set up? Flooding is a serious issue for UK homeowners. Flood Re has been set up to make flood insurance more affordable for those who are at risk of flooding. Flood Re is regulated by the PRA and FCA. How do you work out the flood risk to my property? We use industry tools and sources of data to arrive at a premium, alongside claims and underwriting experience. External data sources include (but are not limited to) the Environment Agency, British Geological Survey Data and Ordnance Survey historical flood mapping. We also use flood modelling data as this data provides flood risk data at an individual property level rather, than postcode level. Where can I get more information on flood risk? Flood Free Homes wants all UK houses to be free of risk by 2025. National Flood Forum provides support and advice to communities or individuals that have been flooded. Know Your Flood Risk works to raise awareness of the risk of flooding from all sources, not just a visible water course such as rivers and seas. How long does it take to reinstate property after a flood? This depends on a large number of factors including how widespread the flood was, how severe the damage caused was, and how many properties were affected is the first variable. After a major flood event, insurance companies often take on additional loss adjusters, but even so the time it can take for you to be visited by one can be longer than you'd like. Cleaning and drying operations can take many weeks or months depending on the availability of services and how greatly your property has been affected, as well as what your home is made of. Finally, reinstatement works themselves are also time-consuming. The process of choosing replacement furniture, decoration and fitted units (which you may have originally selected over the course of years) takes time, espeically if you are working and have little time to shop around, and then you need to wait for delivery and fitting. These people went above the call of duty to help me fill my requirements. Other brokers couldn't even be bothered to quote! Top marks.